One of the first and most important decisions business leaders must make is how they will support internal and external communication. As technology has progressed, there are now more than a few options available and numerous associated considerations to make. 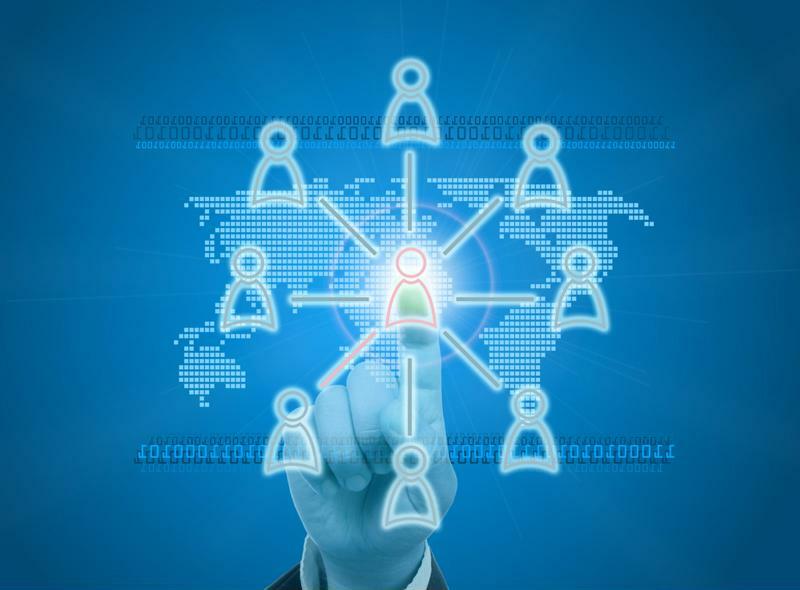 Not only must you ensure that your employees have the tools and capabilities they require, but business partners, service vendors and individual customers must have channels to leverage to connect with the company as well. When decision-makers come to this important juncture, the phrase "unified communications" almost inevitably comes up. Before delving into a service package, it's imperative that executives and stakeholders understand the extent of unified communications, the services that can be included, how these capabilities are delivered and what the future will hold for this marketplace. While UC systems have been around for years now and are in place and used on a daily basis within many businesses, there is still a bit of confusion surrounding this technology. In some instances, "unified communications" has become a bit of a catch-all term applied to any type of digital communication. However, simply enabling connections and collaboration among users doesn't automatically constitute a UC system. In order to be considered a true UC solution, communication doesn't just need to be made possible, but also tied together, or "unified" in a meaningful way. Here, integration is key, and the best UC solutions will bring together an array of different communications services from a single, accessible platform. This makes it easy for users to access, leverage and even switch between the channels they require. And now that communication can take place across different channels and even simultaneously, a level of integration and ease-of-use is critical. "A good unified communication setup will allow for various types of dialogue and workflows to all exist and be available on the same platforms," noted Tech.co contributor Jack Turner. "UC aims to join up all the streams within a business, saving employees and customers time and money." Advanced UC can support accessible, user-friendly communication and collaboration from a single, integrated platform. Features and services: What does UC encompass? In this way, UC isn't just a standalone phone line and a separate email service. UC systems combine a variety of communications applications, and some providers allow customers to tailor their package according to their needs. HD VoIP calling and video conferencing. Unified instant messaging and presence capabilities. Presence or hot-desk call routing. Call recording, monitoring and other contact center calling support. A streamlined and simple user portal. This only scratches the surface of the robust capabilities that a UC system can enable. As Tech Advisory pointed out, almost any type of communication feature can be integrated into a robust UC platform, including applications that one might not normally consider for enterprise collaboration. "Just about everything can be integrated," Tech Advisory stated. "But what many people don't know is the fact that even data services and transactions like e-commerce and online banking can also be added to the UC system." "UC technology can be tough to navigate, but finding the right solution doesn't have to be complicated." In addition, popular platforms like those from Google, SalesForce, Microsoft, NetSuite, ZenDesk, Sage and more are all compatible with today's UC technology. In this way, UC is much more than an umbrella designation for digital communication – it represents a highly accessible and streamlined way to engage with communication and collaboration applications from a single, customizable interface. Premises UC: Through this model, businesses deploy, maintain and manage the applications included in the UC solution within their own on-premise servers or their own data center. This model of delivery is typically more costly, particularly in terms of up-front investment, as the company is responsible for the purchase and upkeep of the necessary hardware and software elements that underpin their UC capabilities. At the same time, though, on-premises UC can offer more granular visibility and control into usage, maintenance and overall management. Cloud UC: Cloud-based UC shifts the necessary software from being hosted on the company's on-premises hardware to a cloud-based environment. In this way, users don't have to be at the company's location to access UC features, and can instead connect with the technology through any internet browser. This model means that the necessary hardware costs, upkeep and maintenance is transferred to the cloud service provider, and the company need only invest in the required software licenses. UC-as-a-Service: Building upon cloud UC is UC-as-a-Service, an increasingly popular delivery method. According to current research, the UCaaS market is on the rise, and will expand at a compound annual growth rate of 11 percent through 2025 as more enterprise UC users go this route. Within this delivery model, the vendor provides UC access from their infrastructure, accessible through the cloud, allowing users to avoid the need to obtain their own software licenses and deploy the applications in their own cloud environment. Hybrid UC: Some providers, like Teo Technologies, also offer hybrid options. Teo's Cloud Plus UC encompasses a hybrid-style deployment, which combines a dedicated, on-premises server with the reliability of the cloud. This options is best for organizations that require high resiliency and low latency performance of their most critical UC assets. While options like UCaaS and cloud-based solutions have become more popular, there are still instances and requirements in which an on-premises system might be the best option for a business. The choice here will depend on the company's usage demands and potential security requirements. For example, a healthcare organization may prefer a hybrid UC deployment, where certain aspects are maintained and managed within on-premises hardware, and other capabilities are made more accessible through the cloud. Now that we've established a foundational understanding of what UC entails, the services that can be included and how these features are delivered, it's time to take a more forward-looking glance at the future of UC technology. Rising remote and mobile usage: A number of organizations leverage their cloud and -as-a-service UC in order to support the communication and collaboration of remote workers. As more businesses provide more flexible working options, this trend will surely continue. Advancing meeting rooms: At the same time, on-premises meeting rooms will become increasingly innovative, taking advantage of collaboration-boosting technologies like video conferencing. Microsoft's Mark Vale told UC Today contributor Rebekah Carter that he predicts "'holographic' and immersive meeting rooms" including virtual reality, augmented reality displays and other emerging technologies. Combining UC with AI: The UC programs of the future will also increasingly leverage artificial intelligence, creating enterprise versions of virtual assistants like Siri and Cortana. Such platforms could be an invaluable asset for resource allocation and customer service. "The unified communications space is growing smarter by the day … powered by the presence of AI and machine learning," Carter wrote. "The next chapter of UC will advance with an AI strategy that gives employees their own personal AI assistants, constantly responding with meaning messages and insights." UC technology can be tough to navigate, but finding the right solution doesn't have to be complicated. Connect with the experts at Teo Technologies to find out more today.